In 1964 Mike Petty discovered tucked away in a back room of Cambridge Library a collection of books, newspapers, maps, illustrations and ephemera on Cambridgeshire. It had been carefully collected for 110 years – but nobody had had the chance to sort it. Over the next 30 years Mike transformed it into the Cambridgeshire Collection, taking it into a separate suite in the new Central Library in Lion Yard. 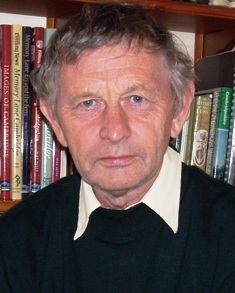 Over that time he became the most widely acknowledged authority on Cambridge and the fenland building up unique knowledge of resources which he continues to share through regular lectures to groups and societies. Mike’s library on your laptop. The Cambridgeshire Scrapbook 1897-1990 comprises over 3,000 pages and 21,000 articles relating to all areas of the region. It is a compendium of facts, features and (occasional) fallacies reported in Cambridge newspapers recording a vast range of information not previously easily accessible. It forms the basis for scores of other Scrapbooks covering villages, topics and areas of Cambridge. There is a Mill Road Scrapbook, an East Road Scrapbook, Castle Area Scrapbook and compilations on Cambridge Cycling, Cambridgeshire Aviation, Cambridgeshire Military Activity 1920-1940 and much more. For free advice and guidance email mikepetty13a@gmail.com. And if you’re looking for a speaker, contact me. It’s something I’ve done for 50 years!